Facebook Pages: Are You a Supporter or a Follower? I learned a whole bunch of new things about Facebook pages this morning. I found it so interesting that I thought I would share it with you. Did you know that there are two types of people who "like" Facebook page? Yes, there are the supporters and the followers. The supporters will click "like" on a page to show their support for a page or the page owner even if they have no interest in the page at all. Followers, on the other hand, consider the page a vital source of news and actually want to receive updates about the page in their NewsFeed. I admit that I am a bit of both. Currently I have "liked" 280 pages on Facebook. For many of those pages I wanted to show my support. There are, however, around fifty pages that I actually want to keep up with. So what are you to do if you are a follower and actually want to see the status updates? I learned about a new feature today that will help with that. Go to a page that you have liked and want to follow - a page where you want to keep up with their news. Then hover of the Liked button (presumably you've already liked it). Have you ever done this before? Ever notice there is a Get Notifications option?!! Click on the Get Notifications button and now you will start receiving alerts about new Status Updates. You are now on the road to better controlling what you see. I can't help but notice that underneath the Get Notifications button is the Show in News Feed option. I think that it's best to have that checked too. The Show in News Feed option will allow you to see those 15% of posts that Facebook will let you see without the page owner having to pay to promote their posts. The Get Notifications button (if the syntax is accurate) will actually give you a notification of a post on the wall. This is new to me so we will all have to test it out for awhile to see how it really works. The concept however is a good one as it lets us control what we want to see and allows us to continue to be both page supporters and followers. For the longest time when you hit "like" on Facebook, your connection with the page you want to follow disappears just as quickly into a black hole. If you are lucky you might see random updates in your News Feed. If it's a page that doesn't update very often you'll likely miss everything. And what about trying to find those pages that you've liked? It's one of the most confounding experiences on Facebook even today. You knew you liked a page once upon a time but darned if you can find the list of all the pages you've liked. Unfortunately, I can't even tell you how to do it. Maybe someone will post the instructions in the comments. For a month or so I've been thinking about writing a post that explains how to use lists in order to filter and view pages that you've liked. Thankfully Facebook has come around and spared me from having to do this (though it's still a good idea, more on that below). In the interim, Facebook has created a new link on the left side of your Facebook wall called Pages Feed. I learned about this from the amazing, funny and ever helpful George Takei. It looks like this. When you click on this link you will see updates from all the pages you have ever liked. Granted, you might not actually want to see updates from half the pages you have liked but now at least, in one click, you have the option. It took a long time but thank you Facebook for finally providing this option. The most effective way of using Facebook and being able to see updates from people/pages you actually want to see is by using lists. Facebook automatically creates some generic lists but I don't use those. I prefer to create my own. Lists are found under the Friends header on the left hand side of your wall. You can see that I've created ones for my Boston friends, some of my family, History Groups and Publishers. There are more lists but Facebook doesn't show the entire list. Click on the word Friends. Now you'll be able to see all your lists and be able to create new lists. The lists featured at the top of the page are the ones automatically created by Facebook for relationships, work, schools and location based on the information you supplied to Facebook. Like I said I don't use these lists. I create my own. You simply press the Create List button, give your list a name and add friends or pages to it. Once your lists are set up you can view status updates from those specific people just by clicking the list name. No longer will you miss updates from your family or close friends. However, I also use lists in regards to Facebook pages. Yes, I am happy that they have given us the Pages Feed button described above. Unfortunately, as of this date, I have managed to "like" 268 pages on Facebook. That's just too many to be manageable. So I created two lists to ensure that I won't miss updates for the pages that are important to me. The lists are (you can see them in the image above) HistoryGroups and Publishers. HistoryGroups is full of museums and historical societies that I follow and want to keep track of. Sometimes I just want to know about their activities and sometimes I want to see how well they are doing using social media. With one click I can check all the status updates to be sure that I don't miss any. I check this several times a day. Publishers is a list of publishers that I follow to track the new books they are publishing. 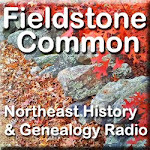 I am in constant need of guests for my weekly Fieldstone Common radio show and this list helps me stay up to date with publishers who produce books that are likely candidates for my show. I check this list about once a day. Well, there you have it. I hope you will save time and enjoy using the new Pages Feed on Facebook. And I hope, if you're brave, that you'll consider fine tuning your News Feeds even further by creating useful lists. Let me know if you found this helpful. Are you a professional genealogist or an officer in a genealogical society or perhaps a family historian who is trying to find distant cousins? All of these people are using social media to connect with other people. In order to connect with people, you need to engage your audience or your potential audience. There are lots of ways to do this. Have you ever noticed that everyone has an opinion? One of the simplest ways to engage your audience is to ask them their opinion. Yankee Magazine, a publication that celebrates New England life, has the most brilliant social media campaign going on right now that demonstrates this point perfectly. On their Facebook page they are asking their followers to decide which Classic Yankee Magazine Thanksgiving covers were the best. Each week they pit two historical covers against each other and ask their audience to choose their favorite one. Everyone has an opinion! And everyone wants to share their opinion. I couldn't help myself from stopping to write a comment and tell them what I think. Neither could the other 200+ people who have left comments. Now that's engaging your audience. Their approach was so simple. They created no new content. They simply dove into their personal historical archives and asked their followers to share their opinions, turning it into a contest. Now think about your audience - potential clients, society members, distant cousins. How can you ask them for their opinions? Here are a few suggestions to get your started. Potential Clients - try comparing two documents side by side that relate to your niche. Ask your followers which is a better source and why. If you are changing your logo, involve your audience in helping you choose the best one. Society Members - Post two books related to your region and ask your members which they found more helpful. Then change the books each week. If you are a society hosting webinars, feature two potential webinar topics and ask your members to choose. Distant Cousins - photos work great when trying to attract distant cousins. Post two photos of the same person at different stages of their life and ask the cousins to confirm whether it is indeed the same person. Likewise post an identified photo next to an unidentified photo and get your cousins to figure out if it's the same person or even the same family. The responses from all these people will be opinions and they will feel happy to give them to you. Opinions don't cost a cent but they certainly do bring a priceless reward. Start thinking about how you can engage your audience by simply asking for their opinions. I've been listening to recorded oral histories on the Sound and Story website (thanks to Gayle Livecchia for pointing that one out). It's like StoryCorps but just for the Hudson Valley in New York. It's fascinating to listen to people tell their personal stories or to describe how things were done in the past. Sometimes we get thinking about what wasn't recorded, what wasn't explained and left behind. Last week I recorded an interview with Kathleen Wall, Foodways Culinarian at Plimoth Plantation. As I asked her questions sometimes she would respond "They just didn't write it down." Some things are lost because they are perhaps too mundane to mention. Imagine this. You take the time to write down an entire day of your life. In infinite detail you jot down everything you do and perhaps think. But all the same you will leave out details. It will be incomplete. The people of the future will again say "they didn't write that down." You will have tried so hard yet to no avail. Some things are so mundane that you don't even realize you are leaving them out. Such is the way of history. The exercise is good though. Try to leave the details behind. Even if you can't anticipate the questions of the future you will do a great service by providing them with a great deal of information. There's no way for us to know what will be forgotten with the past. I know it might seem a little strange to write about headsets but interestingly enough headsets demonstrate the progress (at least technologically) that we've made in genealogy. 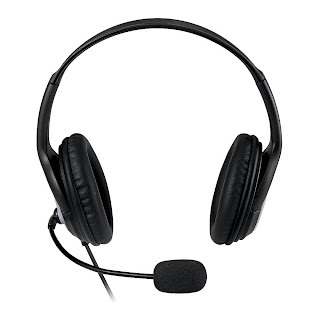 I bought my first headset (Lifechat LX 3000) just before participating in my second webinar. That was back in January 2011 when Geoff Rasmussen pulled together a Rountable on virtual presentations for the first RootsTech conference. I was one of the virtual presenters. It's funny to think that just that short time ago webinars were fairly new, not many presenters were giving them and the audience was still trying to figure out what they were. Over the next year to year and a half using headsets became standard protocol for presenters. I would never have bought a headset if it hadn't been for the need to present webinars. I didn't use a headset in any capacity for work- or pleasure-related computer use. I didn't have a smart phone at that time so I didn't have any need to listen to anything from that source. I'm sure some less backward people than I were using headsets but somehow it really didn't come up in conversation. Now fast forward to November 2012 and we can see a real transformation in headset use. Not only are webinar presenters using headsets but so is the webinar audience. Geoff Rasmussen often asks his Legacy Webinar audiences to check in before the start of the presentation. Members of the audience come on for a minute, provide their name and location and chat for a bit with Geoff. It's a fun way to put a face (or at least a voice) to an otherwise invisible audience. Dear Myrtle is taking audience participation even further. In October of this year Dear Myrtle started a weekly series called Mondays with Myrt (you can see the calendar of upcoming shows or listen to archived copies of Mondays with Myrt). The program is run every Monday at 12 noon EST (9am PST). Dear Myrtle is looking for more from her audience that just a quick check in. She is seeking active voice participation from her audience. At any point during the show she could ask for live feedback from the audience. Headsets allow users communicate by voice in a very clear sounding way. The headset microphone provides much better quality than the normal built-in microphone on your computer. This is essential for communicating by voice across the internet. This is the wave of the future! This is also driving more genealogists beyond presenters to buy headsets. The Lifechat headset mentioned above costs just $25. That's a a fairly affordable price point for most people. But it still doesn't account for nerves. Some people still might be too shy to talk online in front of an audience. More and more people, however, seem to be becoming comfortable with it. Genealogists are also using headsets to have Skype conversations (both audio and video) to conduct family history interviews, to work on joint research or to contact people back in the old country. And what about me? Not only am I using my headset for webinars but I am also listening to podcasts and watching videos. The world has opened up for me and I am now embracing these new forms of media. Not a day goes by where I don't put the headset on to listen to something on the internet. I even have two pairs of headsets now. The Lifechat LX 3000 which has two ear pieces I now use mostly for pleasure listening. I've bought the Lifechat LX 4000 which has just a single ear piece for doing webinars and the Fieldstone Common radio show. That way I can hear myself talk. What about you? Where do you stand in the headset spectrum? Do you own a headset? Do you use it for Skype, listening to webinars or participating in webinars? Or do you have a completely different use for it that I don't know about yet? I would love to hear what you think of the headset evolution in genealogy. I'm very pleased to be able to share this press release with everyone. For those of you who have watched Geoff Rasmussen's webinars on photo organization you know how extremely helpful they have been. This is one area where I need an intervention! I'm going to be reading this book and hope that I will be inspired to finally get my act together. I know you'll enjoy it too. Your wait is over. You now have Digital Imaging Essentials: Techniques and Tips for Genealogists and Family Historians at your fingertips. The do-it-right-the-first-time techniques of scanning old documents, andsnapping pictures with your digital camera. Click here to preview the Table of Contents, the complete index, and a few selections from the book (31 pages). Geoffrey D. Rasmussen is the father of four budding genealogists. He graduated with a degree in Genealogy and Family History from Brigham Young University and has served as director and vice-president of the Utah Genealogical Association. He is a dynamic genealogy speaker on all forms of genealogy technology, and as host of the Legacy Family Tree webinar series, has spoken virtually to nearly 100 different countries. He recently received the Distinguished Presenter Award at the prestigious RootsTech conference in Salt Lake City. He has authored books, videos, articles, and websites, and develops the Legacy Family Tree software program. On a personal note, Geoff enjoys playing the piano, organ, cello and basketball. His favorite places are cemeteries, the ocean, and hanging out with other genealogists. He met and proposed to his wife in a Family History Center.